A darkly luminous new novel from the Pulitzer Prize-winning author of The Hours. Michael Cunningham’s luminous novel begins with a vision. It’s November 2004. Barrett Meeks, having lost love yet again, is walking through Central Park when he is inspired to look up at the sky; there he sees a pale, translucent light that seems to regard him in a distinctly godlike way. Barrett doesn’t believe in visions - or in God - but he can’t deny what he’s seen. At the same time, in the not-quite-gentrified Bushwick neighborhood of Brooklyn, Tyler, Barrett’s older brother, a struggling musician, is trying - and failing - to write a wedding song for Beth, his wife-to-be, who is seriously ill. Tyler is determined to write a song that will be not merely a sentimental ballad but an enduring expression of love. Couldn't make it all the way through. I just didn't care enough about the characters, their interactions, or the plot to force myself through this one. Claire Danes as the reader is wasted on what's just a bad book. I made it 3/4 of the way through and thought, why am I forcing myself to listen to something so unsatisfying? The nice thing about being an adult (and not a student with homework) is that you really DON'T have to finish a book that doesn't warrant the time or attention. Most boring book I've listened to.. The writing was well done, if somewhat pathetic in the attempt to be hip and in the know, but I'm still trying to figure out what the point was. Very boring and extremely disappointing. This is my second book by Cunningham It was been at least 25 years since I have been this enthralled by an author. His stories and prose are radiant, captivating. His command of language is miraculous. I can't recommend this book too highly. People that are interested in feckless characters that chat about how terrible and horrible their lives are. I haven't decided what my next listen will be, but probably something with more interesting characters. Have you listened to any of Claire Danes’s other performances before? How does this one compare? Love Claire Danes as a narrator. Am going to look for other books she performs. If you could play editor, what scene or scenes would you have cut from The Snow Queen? I'd probably pare down the first four chapters into one. After listening to the first hour of this audiobook, I decide that the book couldn't hold my interest. The two brothers seemed like the most miserable and feckless characters, that I really couldn't even form an interest in them. What would have made The Snow Queen better? There was nothing to capture my attention. What was most disappointing about Michael Cunningham’s story? The story just dragged on and the relationships between the characters was confusing and boring. It made me just feel sad and for the people and there sad choices. What didn’t you like about Claire Danes’s performance? Wonderfully descriptive writer. Very little plot. Time well spent for aspiring writers. Cunningham is a master of detail, minutiae, and asides. Writers can learn a lot from him in these regards. For me, at least, the story did not take traction. There really isn't much of a plot -- the relationship between two brothers and their friends. Which character – as performed by Claire Danes – was your favorite? I'm sorry to say, none of them. Was The Snow Queen worth the listening time? Only to see how well Cunningham can put the reader in a scene by describing every aspect of the scene. What disappointed you about The Snow Queen? The story line, and Claire Danes narration wasn't good. Would you ever listen to anything by Michael Cunningham again? bleh. just average, or worse. gah. another so so read. my expectations may have been too high, but i really feel that the author didn't live up to what he was trying to achieve. i think Cunningham writes beautiful sentences. but when you put them together i think sometimes they become overwhelming. the plot of the story is lost in all the beautiful writing. i didn't get any references to the Snow Queen (Hans Christian Andersen), except for the fact that there was snow. i didn't find the conflict worth anything. i didn't find either one of the brother's stories explored enough to get any true sense of either one of them -- and therefor i didn't really feel invested in either of their lives. i felt like i was reading an outline of a larger story that i wasn't privy to. i felt like i was reading the beginning of something great, that just never took off. 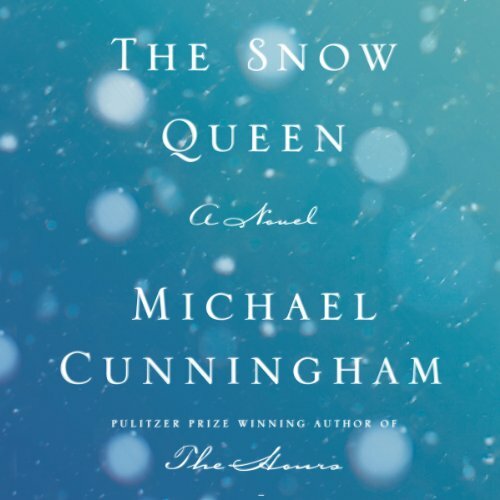 In "The Snow Queen", Michael Cunningham cleverly riffs on more than choice in an innocent question–Would you like Coke or Pepsi? Cunningham’s story is about human choices, responsibilities, and compulsions. Cunningham’s first chapters flesh out details of three personalities, Tyler’s, Barrett’s, and Liz’s. (Beth is another important character, but more as she relates to the three main characters than as an individual.) Tyler is a musician. Barrett is Tyler’s younger brother. Liz is a kind of caretaker for both Tyler and Barrett, even though Tyler is in his early 40s and Liz is in her early 50s. Barrett, the youngest of the three, is employed by Liz in her clothing store. Barrett, in his thirties, takes the first steps toward a mature and stable relationship with a partner that may break the bond with his unconventional and enabling family. Liz, now in her mid-50s, is thinking about taking a vacation in California; possibly with Tyler, but only if he quits drugs. Beth has died from cancer. The storm of snow and ice seems to be lifting for Barrett and Liz at the end of Cunningham’s story. But, Tyler appears to have had his heart pierced by the broken mirror that looks like snow and has turned to ice; i.e. snowy cocaine has turned to heroin. Tyler loses his fiancée, seems on the edge of losing his brother, and finally, his caretaker and ex-secret-lover. Tyler’s choice is Coke; while Barrett’s and Liz’s choice is Pepsi. Cunningham infers Americans are enabling dependence by children on their conventional and unconventional families; i.e. allowing children to remain adolescents for too long. Drugs are a curse that distorts reality like broken shards of Hans Christian Anderson’s glass mirror. Religion is an opiate of the masses. Gen Xers are growing up too late in their lives. Winter is a time of dormancy for Gen Xers; spring may be coming, but Cunningham’s story is not reassuring.